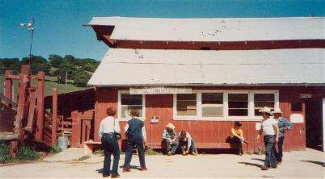 The old barn, built in 1956, stood until 1991 when the new facility was built. 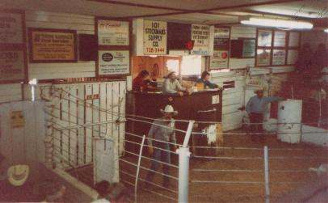 The old ring where cattle were sold and then weighed after they exited as the scales were outside. 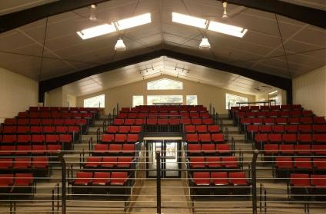 The new ring was designed to weigh cattle in the ring as they are sold. 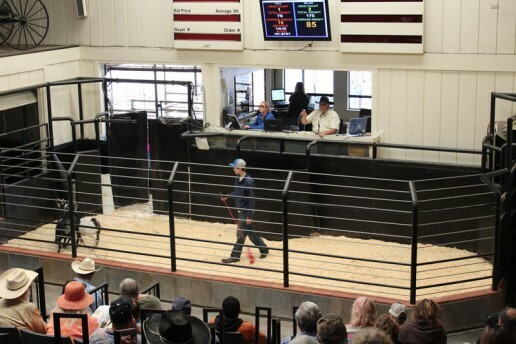 This helps buyers ship more uniform cattle with ease and accomplishes two tasks at once. 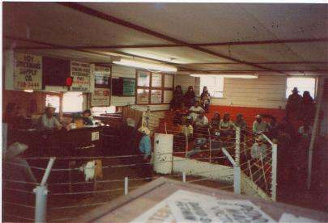 The seats in the old barn were hard wooden benches with no backs and seated 65 people. Today we have 165 theater seats. 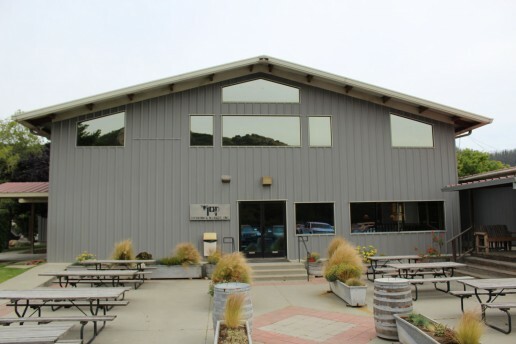 The building is heated and air conditioned for everyone's comfort. 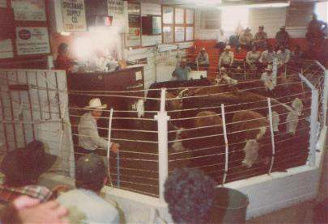 The old ring could handle about 15 - 500# steers and all clerking and penning was done by hand. 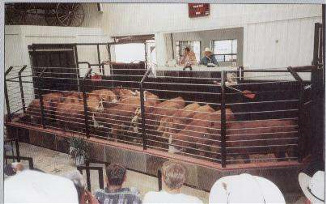 Today the ring can hold about 50 - 500# steers or 25,000 lbs. Our computer technology allows us to draft totalize the weight of several drafts and send the information directly to the office.